← Winter is gone… Long live winter! It’s been out a few months now, but I only recently came across Old Deeside Ways, the latest book by Ian Murray in his fascinating series of books on the oral history of the Cairngorms and Deeside. 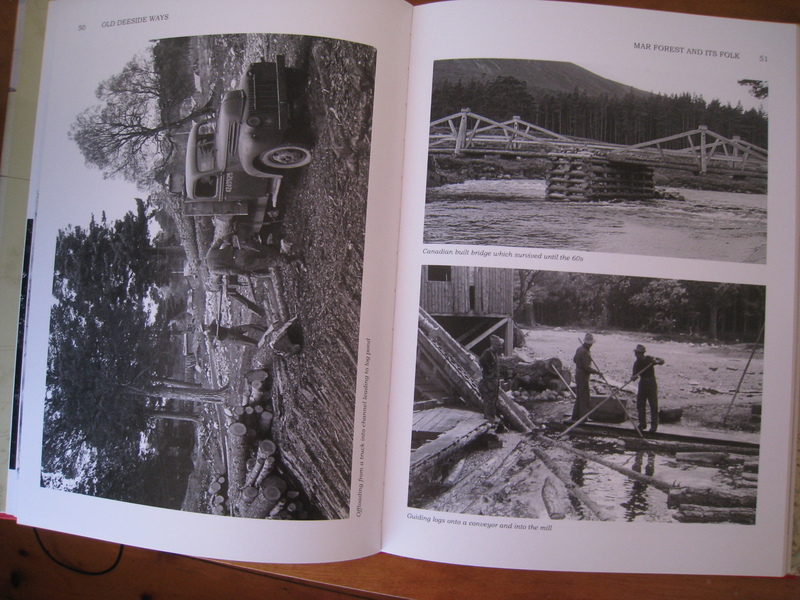 Notable for their excellent collections of old photographs as well as his interviews with local people, what proved an immediate attraction to this latest volume was a number of photographs of the WWII Canadian logging camp at the mouth of the Lui where it joins the Dee. 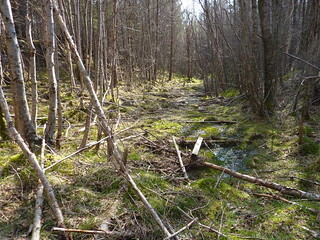 Having been almost brought up on the ‘Old Canadian Campsite’ during the late ’60s and early ’70s, I thought I knew a bit about this site, with its ditches and old foundations, but it was an education to see the wartime photos of the lumber camp in operation, with a sawmill building much larger and more substantial than I had ever suspected, and images of the logs being rolled into the feeder ditch. I’d seen a poor quality photo of the bridge across the Dee before, but hadn’t realised it carried railway tracks when first built. The photos on this alone were worth the admission fee! But, as ever with Ian Murray’s books, there’s a whole lucky bag of delights, with bygone characters, some only just within living memory, some beyond, from Mar Lodge, Inverey and Braemar, glimpses of the Victorian huntin’ fishin’ and shootin’ guests at Mar Lodge. I was interested in a chapter about Sandy Davidson, the 1800s logging entrepreneur turned poacher, but also in chapters on still living characters, including that most excellent of fiddle players, Paul Anderson. Ian Murray has already published three other books: In The Shadow of Lochnagar, The Dee from the Far Cairngorms, and The Cairngorms and Their Folk, and, if this book has a fault it’s that it almost relies on the reader being familiar with these earlier works. Quite laudably, Ian tries not to regurgitate stories and information from his previous books but now and then this results in chapters or part chapters which tell only part of a story, perhaps where he has unearthed additional material on a tale told previously. But that’s a trifling complaint: these books can all be read perfectly well on their own. However, the real stature of Ian’s achievement is best seen when they are considered together, creating an unrivalled picture of the human history of the Cairngorms and upper Deeside. If you don’t already have the previous books to hand you’ll want to get them. They really are essential reading for anyone interested in this area. 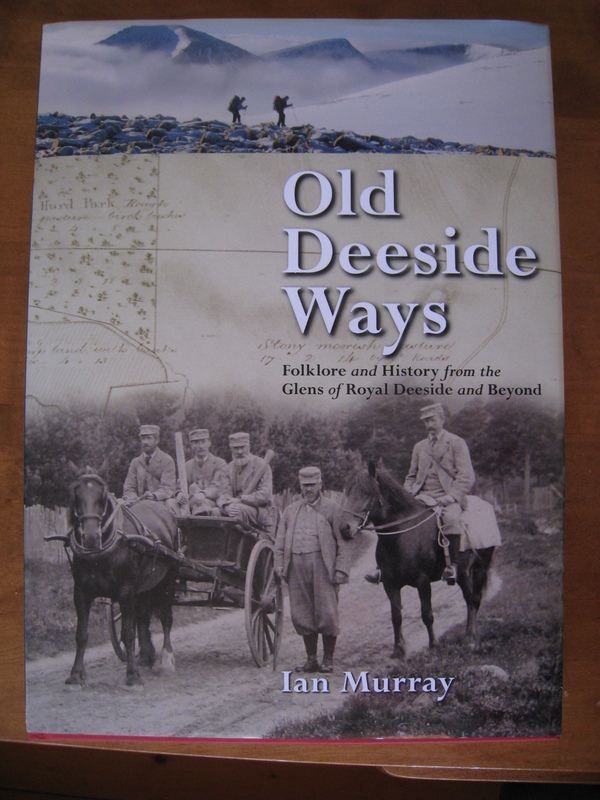 Old Deeside Ways is available in bookshops or via Ian Murray’s website. This entry was posted in History, People and tagged Braemar, Canadian campsite, Ian Murray, Mar Lodge. Bookmark the permalink. Now I really want to see this book! Thanks for the review Neil. Is there much about Bob Scott? Yes It’s a Fine Day for the Hill is a fascinating read. Aye, the Blacks Good Companion was a great tent – but you’re right: wandering about in those trees now does make you feel old, remembering how it was back in the ’70s. Aye great times …and a wee walk doon tae the Mar lodge bar for a venison burger , and a pint . 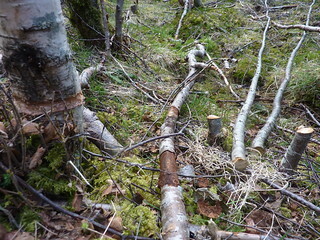 What I didn’t bother to tell him was that someone has also started to give some attention to some growth of birch that is threatening another Canadian feature nearby – the Big Ditch. 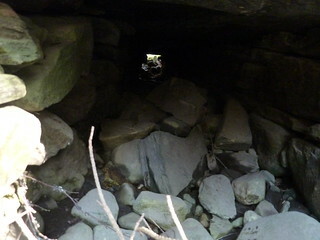 The exit is a culvert under the road, big enough for an 11-y-o to negotiate ( before Grandpa could say “No” ).